The buprenorphine Drug Test Card is a one-step solution for on-site urine drug testing. 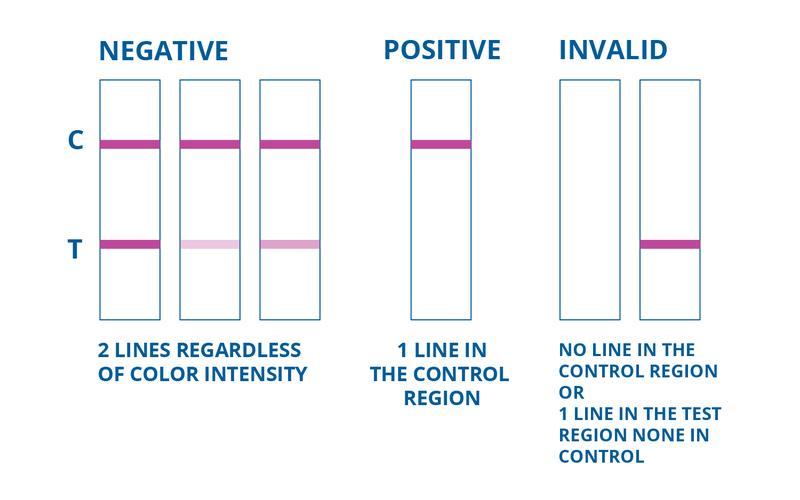 With 99% accurate results, our single panel drug test is one of the best alternatives for the detection of the active ingredient of suboxone or subutex. 10 - 24 $0.30 ea. $1.70 ea. 25 - 99 $0.76 ea. $1.24 ea. 100 - 299 $0.90 ea. $1.10 ea. 300 - 499 $1.10 ea. $0.90 ea. 500 - 999 $1.15 ea. $0.85 ea. 1000 or more $1.20 ea. $0.80 ea. Buprenorhine - Buprenorphine, is the active ingredient of suboxone or subutex, is a semi-synthetic opioid derived from the baine, an alkaloid of the poppy Papaver somniferum. Buprenorphine is an opioid partial agonist. This means that, although Buprenorphine is an opioid, and thus can produce typical opioid effects and side effects such as euphoria and respiratory depression, its maximal effects are less than those of full agonists like heroin and methadone. At low doses Buprenorphine produces sufficient agonist effect to enable opioid-addicted individuals to discontinue the misuse of opioids without experiencing withdrawal symptoms help to manage physical symptoms and cravings. The agonist effects of Buprenorphine increase linearly with increasing doses of the drug until it reaches a plateau and no longer continues to increase with further increases in dosage. This is called the "ceiling effect." Thus, Buprenorphine carries a lower risk of abuse, addiction, and side effects compared to full opioid agonists. In fact, Buprenorphine can actually block the effects of full opioid agonists and can precipitate withdrawal symptoms if administered to an opioid-addicted individual while a full agonist is in the bloodstream. This is the result of the high affinity Buprenorphine has to the opioid receptors. The affinity refers to the strength of attraction and likelihood of a substance to bind with the opioid receptors. 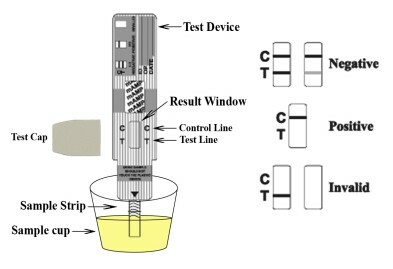 Remove the bottom cap from the suboxone drug test card and submerge the drug test strips in the urine. AVOID passing the arrow when submerging the suboxone drug test card since this can flood the test and invalidate the drug test. Empaque sencillo, fÃ¡cil y rÃ¡pido en procesamiento de resultado.